"Alexa, open As You Wish"
James Gilliland is a best-selling author, internationally known lecturer, minister, counselor, multiple Near Death Experiencer and contactee. He is a facilitator of many Eastern disciplines; a visionary dedicated to the awakening and healing of Humanity and the Earth who teaches higher dimensional realities from experience. He is recognized world-wide as the founder of the Gilliland Estate, previously referred to and commonly known as the ECETI Ranch (Enlightened Contact with ExtraTerrestrial Intelligence) where he documents and shares amazing multi-dimensional contact phenomenon which can be viewed at www.eceti.org and ECETIevents.com His weekly As You Wish Talk Radio program on BBSradio.com draws an audience from around the world who are interested in truth and Higher Consciousness. James’s books Reunion with Source, Becoming Gods, and The Ultimate Soul Journey educate, awaken, inform and heal. He is the host of the documentary Contact Has Begun and has been featured in documentaries and television shows such as His Story, The History Channel, UFOs then and Now, UFO Hotspots, ABC, Fox News, BBC Danny Dyer Special and Paranormal State. He has also appeared on numerous radio shows including Coast to Coast and Jeff Rense. His unique focus on dispelling the myths propogated by the disinformation system make him an in-demand speaker at events such as the International UFO Congress, Contact in the Desert and the Star Knowledge Conferences. An unprecedented event that has the potential to change the course and destiny of Humanity and the Earth is unfolding at the Gilliland Ranch near Mt Adams, and Trout Lake, Washington where UFO sightings, Orb phenomena, CE5 Contact and "UFO contact" with spiritually and technologically advanced extra and ultra-terrestrial off world visitors (a "greater family of man) has occurred and continues to occur on an ongoing basis. This message is shared annually at ECETI’s popular Science, Spirit and World Transformation Conference hosted by James every summer at the Gilliland Estate. James has appeared on Coast to Coast AM Show, has been a frequent guest on the Jeff Rense Sightings on the Radio, Laura Lee Show, Millennium Mysteries, Sean David Morton and Shine Talk where he demonstrated charging 9 batteries in a row by merely holding them, and other to numerous to mention radio shows. 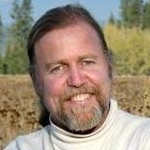 He has been a speaker at many events and featured on the The History Channel's, "UFOs Then and now: Hot Spots", ABC and FOX news, King 5 (Seattle) TV's Evening Magazine , Elaine Smitha, Daylene Gates Simply Spiritual, Off The Record with Ted Loman, International UFO Congress, and many other national and now international TV, radio and other media events. His articles and UFO reports have been featured by Magical Blend and UFO Magazine and have been regularly featured by major UFO information outlets such as Filer's Files, UFO Roundup, CAUS, MUFON, Skywatch International, PSI Applications, UFORC, Farshores, The Virtually Strange Network. He has extensive documentation of the appearance of Spiritual Masters and other Off World Visitors as well. Interviews can be adjusted to the audience, covering a diverse field of experience and be as unlimited or outrageous as desired. The near death experience opened up what can only be referred to as Interdimensional mind which covers a very wide range of subjects. James Gilliland: I can't believe the things coming out of your mouth about Trump: "Give him a chance?... Trump's a good guy?!?!" I wonder why you ignore Trumps' sexual abuse track record yet are so quick to believe the Pizzagate story spewed by that ever-reliable source, 4-Chan. If it was Wikileaks that revealed Pizzagate, I'd be more inclined to believe it. The evil elite manipulates both political parties - I haven't forgotten the underage male prostitute scandals during the Bush years. ...and look at who Trump's appointing for his cabinet now - all Wall St. toadies who care even less for the people who voted Trump in. What a nice guy you're siding with, James! How disappointing. If you had said in the larger scheme of things, Trump was going to "drain the swamp" in spite of his obvious narcissism, fascist tendencies, and ugly callow behavior, then I would understand. I also understand that arguing over who is worse, Clinton or Trump, is like choosing Tweedledum over Tweedledumber. The point I'm making to you, James, is please don't ignore Trump's awful behavior and try to make him into some sort of savior. Trump's just going to make things so unbearably toxic that he'll push everything over the edge by default. In terms of your overall "Bigger Picture" yes, that's a good thing, harsh as it is. 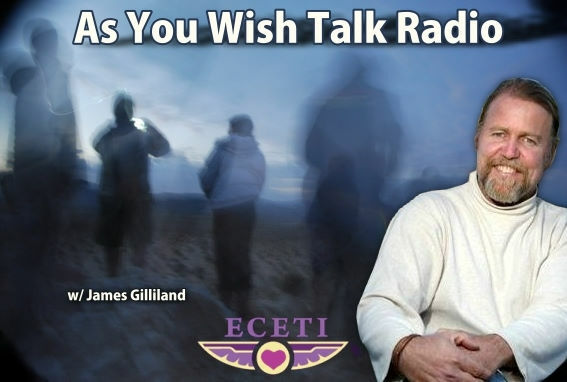 Wanted to say much gratitude to you and BBS Radio for offering the opportunity to hear again James Gilliland's" As You Wish" program featuring JZ Knight. Was unable to access the show for the first 20 minutes re the server difficulties and then even after moving to station #2 lost connection several times. It was a fabulous show and appreciate your kindness in allowing the listening audience the opportunity to hear in entirety. I came to know of your station through Eceti and enjoy your programming very much.